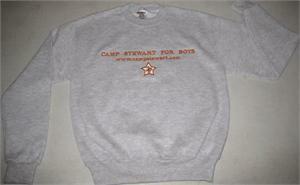 Traditional silver grey 9 oz. 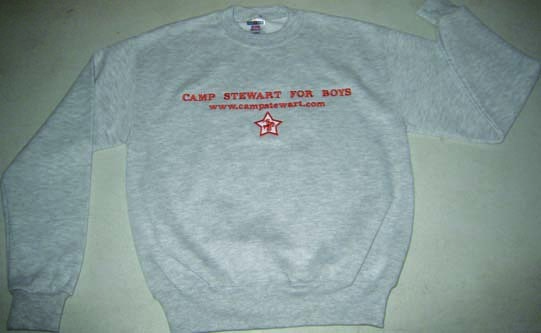 50/50 fleece crew neck sweatshirts with Camp Stewart embroidered across front chest above www.campstewart.com and Stewart Logo. Full athletic cut, set in sleeves. ribbed cuffs and waistband. Cover stitched neck.